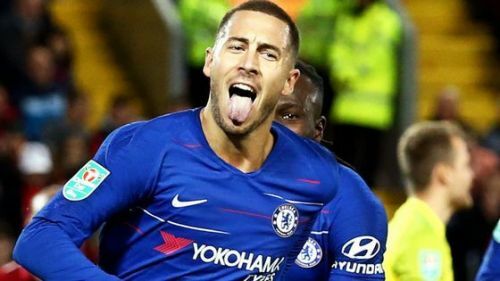 On Wednesday the football world was treated to a masterclass from Eden Hazard, as the Chelsea star scored a contender for goal of the season against Liverpool in the Carabao Cup. The Belgian winger was a second-half substitute, but made his presence felt as he scored the winner to help the Blues advance to the next stage of the competition. 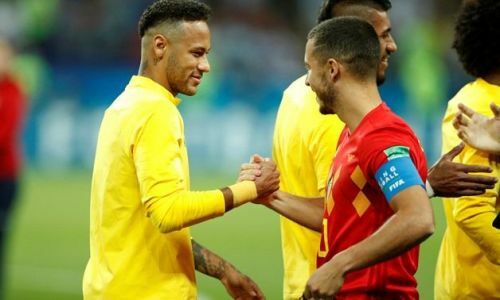 That goal was special, and in the succeeding hours it has enacted debate between fans over who the better player is between Hazard and Neymar. Both players have been tipped to dominate the game in the near future when Cristiano Ronaldo and Lionel Messi finally bide goodbye to the big stage. However, both have so far lacked the consistency to reach that level, with Luka Modric usurping them to win this year’s FIFA Best Player award. One big difference between Eden Hazard and Neymar is that the former is a much better team player. Why such an attribute gives Hazard an advantage is because the Chelsea star is able to play to the strengths of his teammates. Neymar is very talented, but a low point of his game is that he is selfish and normally wants to play on his own. So what makes Hazard better? The Belgian has proven time and again that he can be the main man wherever he plays and irrespective of the team he plays in. Whether Lille, Belgium or Chelsea, Hazard has always been able to pull his colleagues along and his selfless play often brings out the best in his teammates too. Neymar left Barcelona ostensibly because he felt he was under the shadow of Lionel Messi, but how has he fared so far at PSG? The Brazilian superstar was the main man at Santos, but he is yet to prove his full greatness elsewhere. The move to PSG was supposed to represent the platform for him to take on the world, however, he has so far failed to do so. On the contrary, Hazard remains the star at both club and international level. The difference is clear who the better team player is. The Belgian may not have his goal scoring numbers up like Neymar, but he certainly makes up for that by baiting himself for others to get on the score sheet. Put Hazard in any team and he will thrive, the same cannot be said for Neymar.